Children are a very important part of First Baptist Cornelia. It is our goal to provide paths for each child to grow in their knowledge of who God is, allowing them to engage in a personal relationship with Christ. 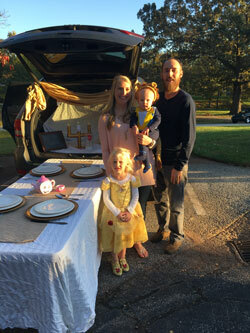 Our children’s ministry serves children from birth through 5th grade. To receive up to date information on our activities, please sign up for our text alert system(text FBCCChild to 41411) and Facebook page (Cornelia FBC Children’s Ministry). 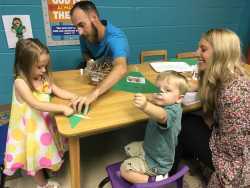 Sunday School classes meet each Sunday morning from 9:45-10:45 a.m. When you enter the Larkin Street entrance (across from City Hall), our volunteers will greet you, help you register your child, and get them to the correct classroom. To make check-in fast and easy create a KidCheck profile before coming on Sunday. Follow this secure link to KidCheck To check-in your children when you arrive, all you’ll need to do is type in your phone number! That’s easy! On Wednesday nights, children (3 years – 5th grade) enjoy our M & M Ministry. 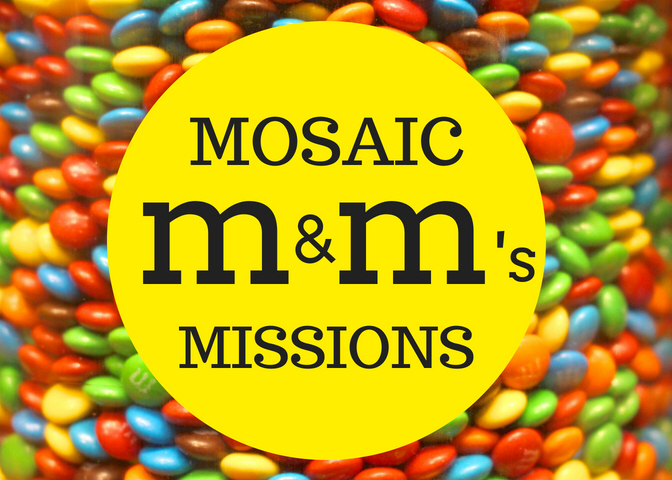 M & M stands for MOSAIC (Arts and Music) and Missions. 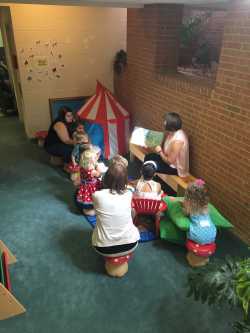 This program offers children a fun experience to grow in their walk with the Lord through the arts and mission studies. 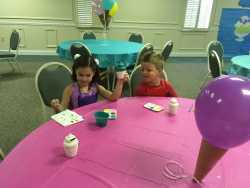 Each Wednesday night children learn about mission work in Cornelia and around the world, participate in Bible study and memory verse time, and also complete a MOSAIC (arts) style activity. Start Location: FBC Gym. Parents can drop kids off beginning at 5:50 pm.